Browse through our range of accessories to help you fit your new carpet tiles. Choose carpet tile adhesives, from double sided tape to two different size tubs of tackifier. We have everything you need, all in one place and even the right tools for the job too. We have recently added the Packexe Protection Film to our range of accessories which can be used to protect your new floor while any extra work is taking place. This is specially designed to be stuck to the floor but can easily be lifted and thrown away without leaving a stick residue. All these products will be safely packaged and delivered together when ordering with our carpet tiles. Click on 'More Details' for extra information and specifications on these products. The above products on this page have all been sourced to help you to complete the installation of your carpet tiles. You can select each one in turn to find out more information about each individual product. The double sided carpet tape is 20m long and is enough to lay approximately 100 tiles. This is generally used for smaller jobs within the home and is more cost effective than buying the liquid form adhesive. It is the blue approved exhibition grade carpet tape and available for purchase singularly. Our carpet tile tools have been sourced and boxed by ourselves and are not available for sale anywhere else on the internet. We decided to make the kit up to help our customers and also to become a one stop shop for carpet tiles and accessories so all could be delivered at the same time. Most of our customers find the 600mm ruler with handle particularly useful when laying the tiles. You can safely cut each carpet tile without the worry of fingers in the way. If you order more than 800 tiles in one go then we will include this kit free of charge. Alternatively it is also available to be purchased without buying any tiles at all but please note that we do not sell the tools separately, only as one complete fitting kit. For larger jobs and in particular where members of the general public will be walking or employees will be working in the environment we recommend the carpet tiles tackifier adhesive. This specially formulated solution was designed for sole use with carpet tiles. The benefit being that this low tack adhesive allowed the carpet tiles to be lifted again easily in the future for cleaning or replacement. The adhesive is applied to the floor only and not to the back of the tiles. It stays tacky for years and is the best product to use to ensure the tiles stay exactly where they are put. 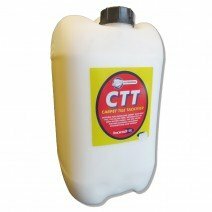 We sell to both the DIYer and also to professional contractors who now will not use any other product than our CTT. We sell in two sizes, 5 litres and 25 litres and the coverage details for both can be found by browsing each product page. Likewise Technical Data Safety Sheets can be sourced by request if required. You can also visit the Fitting Guide page of our website to find out more about the correct application of this product. Drying times all depend on the ambient temperature of the room and also the surface on which it is being laid but you must always ensure it has gone completely transparent before laying any carpet tiles on top. If you ignore this advice then in the future you will find that the tiles will be permanently bonded to the subfloor if trying to lift at a later date. The Packexe carpet protection film comes in two lengths, 25 metre and 100 metre, depending on the size of your job. This is great for sticking on top of your newly laid floor to keep it clean while other trades or jobs are being finished off. They have a variety of uses and once removed do not leave any traces of adhesive. You can gain more information and also videos on their uses and advantages by clicking on 'More Details'. *Please note we do not sell the applicators on our site shown in some of the videos of the protection film.